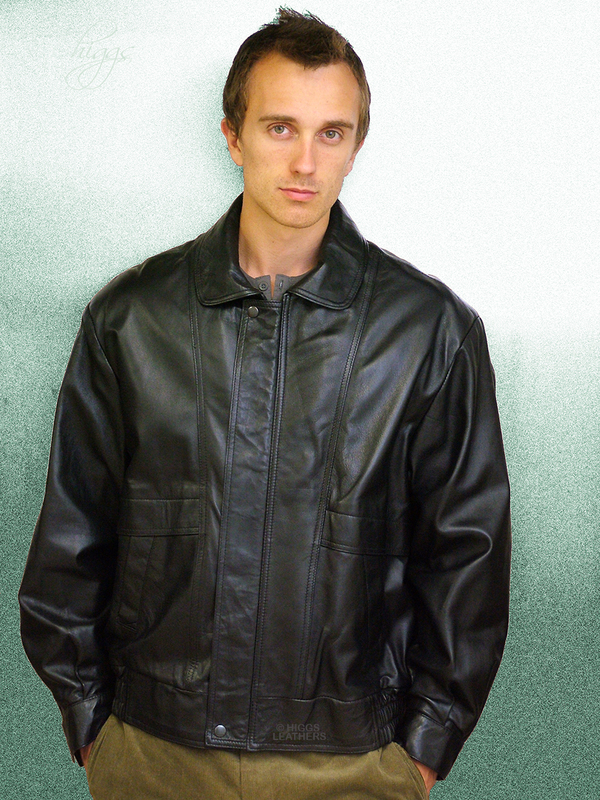 From our wide range of men's Leather Blouson jackets. 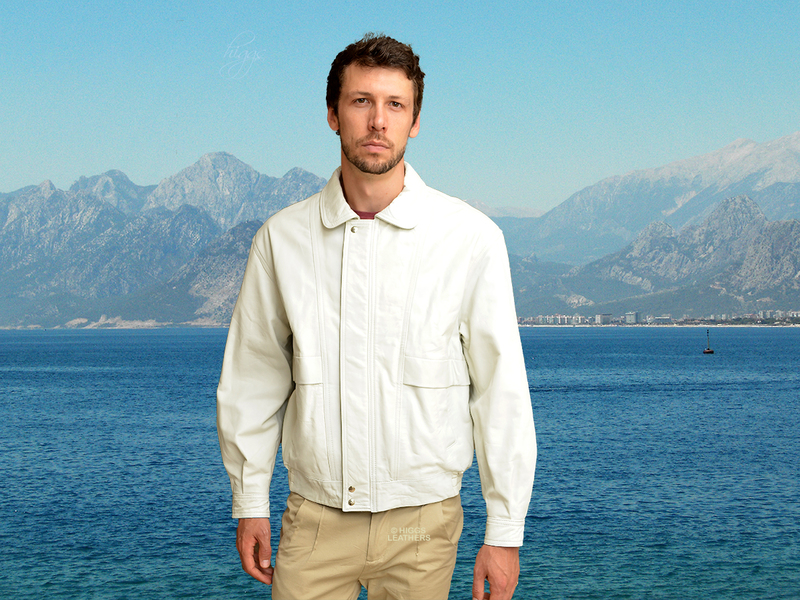 Selected quality White Leather Blouson jacket for men, made in the UK from hand picked extra soft Lamb Nappa skins. If you want a fine quality, individually made, comfortable and lightweight jacket, this is an ideal choice. Jacket length approx. 27.5" (70 cm). 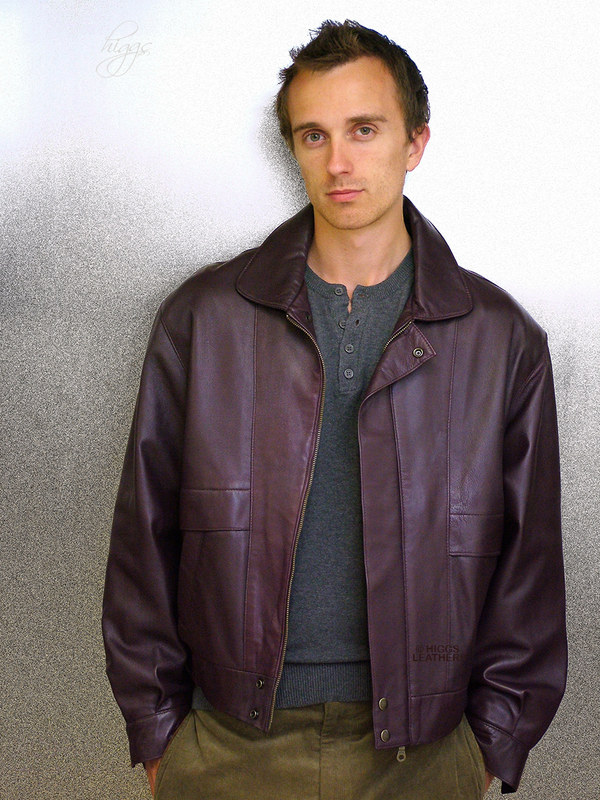 Kurt style Burgundy Leather Blouson jacket for men.